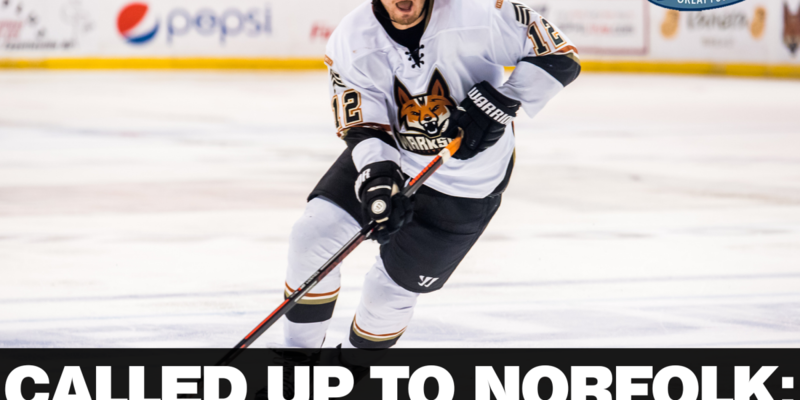 FAYETTEVILLE, N.C. – After arguably one of the best scoring-months in the SPHL in January, and a hot-start to February, rookie forward Brian Bowen has been loaned to the ECHL’s Norfolk Admirals ahead of their weekend home-battles with Reading and Atlanta. Bowen, 23, is the third-leading goal-scorer in the SPHL, with 16 goals in his rookie campaign, and second among rookies in the league for points. Bowen leads the entire Marksmen squad in total points with 33 (16G+17A) and in points as a Marksmen with 29 (13G+16A). A dynamic-scorer, Bowen created points almost immediately with Fayetteville, but really turned on the scoring-ability in the last few weeks, finding seven goals in the last two weekends. His efforts had earned him the SPHL Player of the Month award last week. For Bowen, this opportunity is an exciting one, and believes he wouldn’t be heading back if not for coming to Fayetteville. This will be his second opportunity in the ECHL, as he suited up with the Worcester Railers for 11 games following the end of his collegiate career at Vermont. This is the third call-up of the season for the Marksmen. David Mazurek (Atlanta, 17 games) and Dillon Kelley (Adirondack, two games) both returned to the Marksmen following their stints. We wish nothing but the best to Brian Bowen at the next level, and hope to see him back in Fayetteville later on this season!